A Hollywood actor volunteered to replace a fan’s braces after she snapped it while watching him in his latest film. Michael B Jordan offered to pay for fan Sophia Robb’s retainers, who claimed that his performance in the popular Marvel film Black Panther caused her to clench her teeth so hard that the orthodontic device broke. 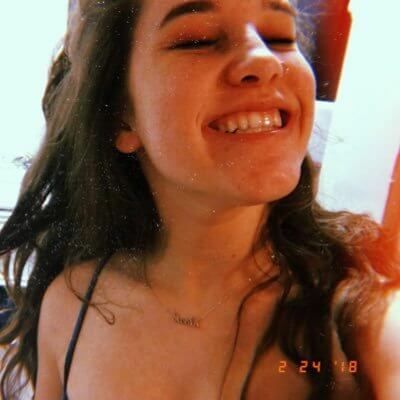 The 17-year-old picture below (Twitter) took to Twitter to explain what had happened – and was shocked to get a reply from the American film star. Jordan offered to replace the youngster’s retainers after admitting that he feels ‘partly responsible’ for them breaking. Speaking to Teen Vogue, the teenager described the exchange as ‘overwhelming’, adding that she is pleased she had the chance to make him laugh. This comes as research shows that patients should be wearing their aftercare retainers for life as part of on-going dental maintenance. Teeth, it has been found, have the potential to move throughout a person’s life – promoting the importance of staying committed to removable retainers. The British Orthodontic Society has emphasised the need for dental staff to make patients aware of retention and aftercare. Simon Littlewood, of the BOS, has even said there is little point beginning orthodontic treatment if the patient is not willing to commit to long-term retention. According to him, dentists, orthodontic therapists, hygienists and nurses all have a role in communicating this to their patients. Research has found that unless patients commit to wearing their retainer every night, their teeth are likely to move after ten years, the Metro reported. And losing or breaking your retainer is no excuse – a replacement device can easily be arranged and purchased. And one option is Vivera Retainers – a venture from the cosmetic dental providers, Invisalign. They are designed to keep your teeth in check after undergoing traditional orthodontic treatment or Invisalign braces. The device is clear, custom-made and made with the latest technology so that patients can maintain their newly transformed smile. And an added benefit is that they are virtually invisible. Vivera Retainers cost between £350 and £700 depending on if they are needed for just the upper or lower jaw, or both. Find an Invisalign provider below.